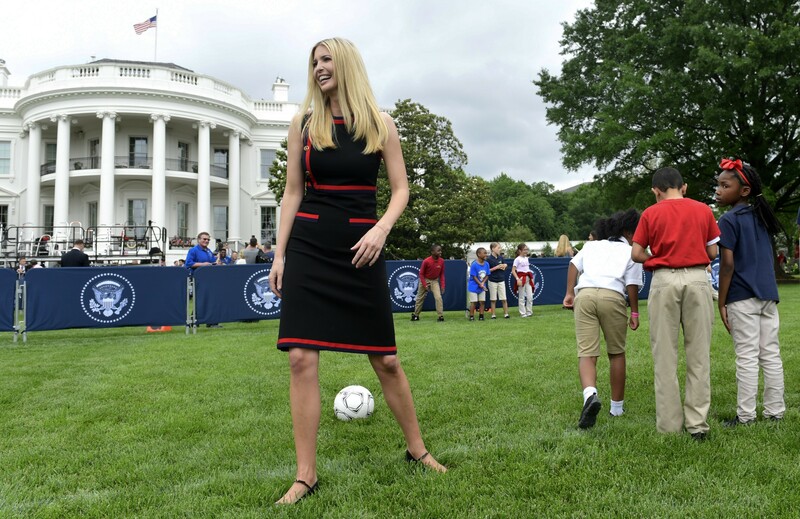 31 May 2018 Washington, D.C.
White House senior advisor Ivanka Trump played sports with schoolchildren at the White House’s Sports and Fitness Day event on Wednesday, wearing a Gucci dress with her pristine straight hair. 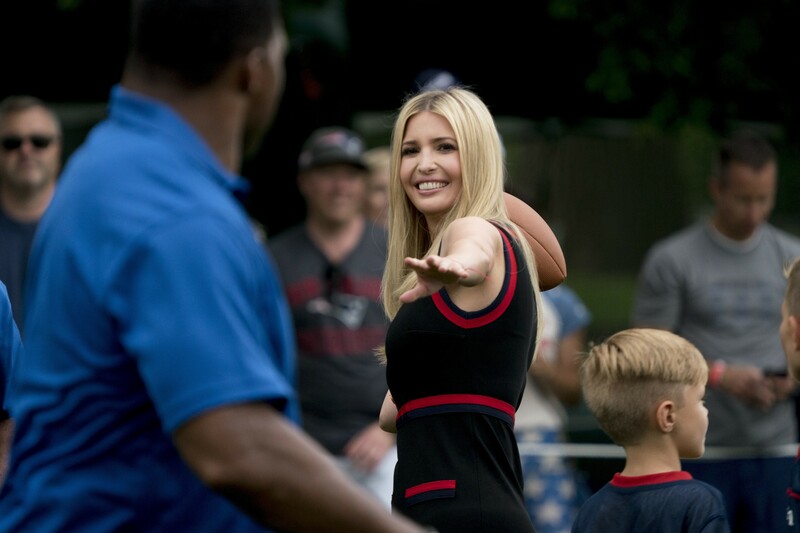 Ivanka chose the black Gucci dress — with patriotic red and blue details — and a pair of Mary Jane flats to throw footballs and cheer on schoolchildren with her charm and smile. 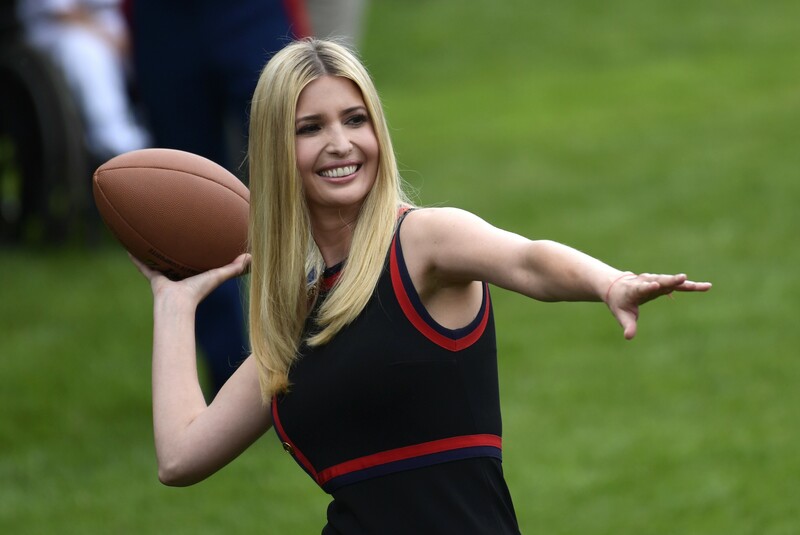 Ivanka paired the dress with her classic, pin-straight blonde hair, fit for a princess. 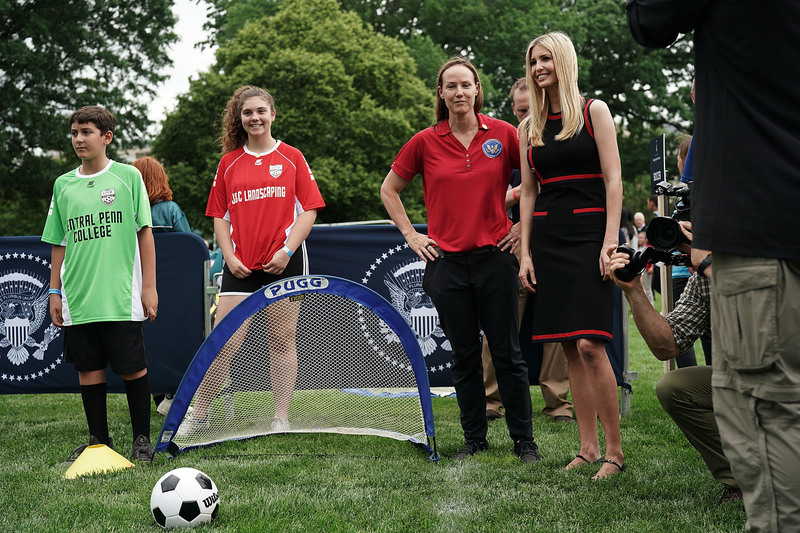 The event that Ivanka took part in was designed to promote youth fitness and nutrition as part of the president’s Council on Sports, Fitness, and Nutrition. 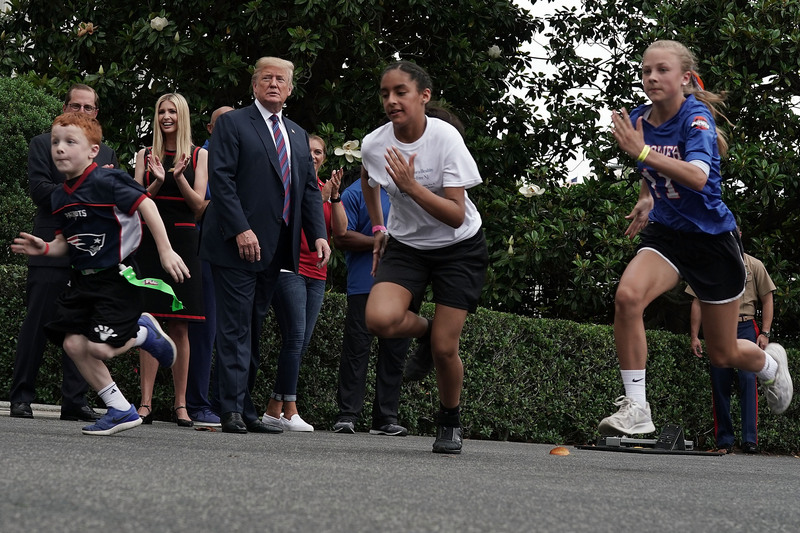 Roughly 250 schoolchildren attended the event. 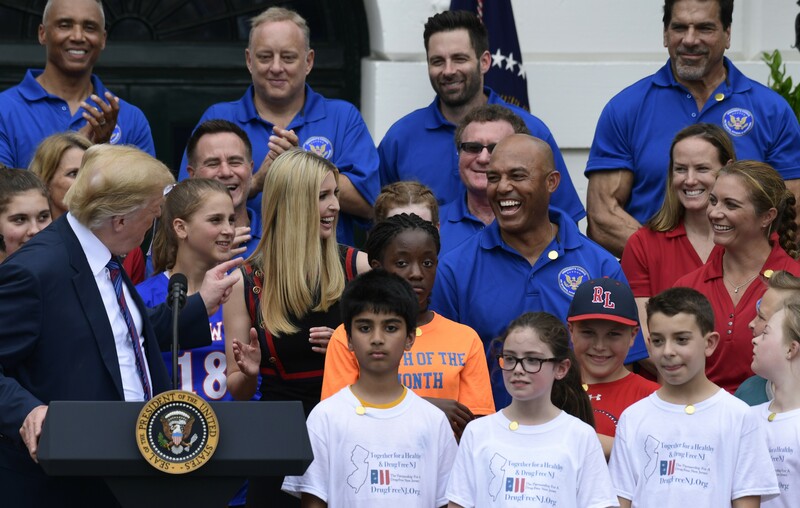 “We are very, very excited to be here today at the White House and raise awareness around the issues associated with not participating in sports as a child and have a little fun in the process,” Ivanka said in a White House video.